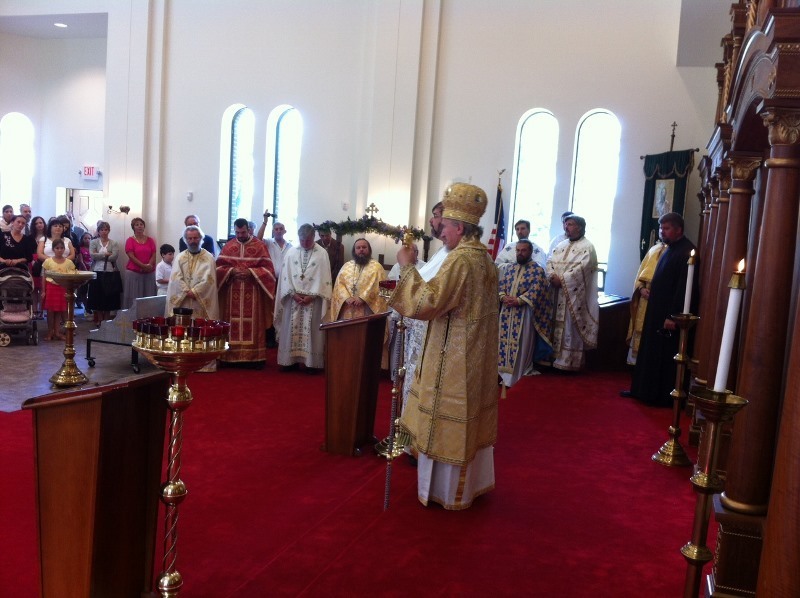 Shadeland, PA - With the blessing of His Grace Bishop Mitrophan of Eastern America the annual Diocesan Day celebration was held on Sunday, August 11, 2013, the feast day of the Holy Martyr St. Callinicus. 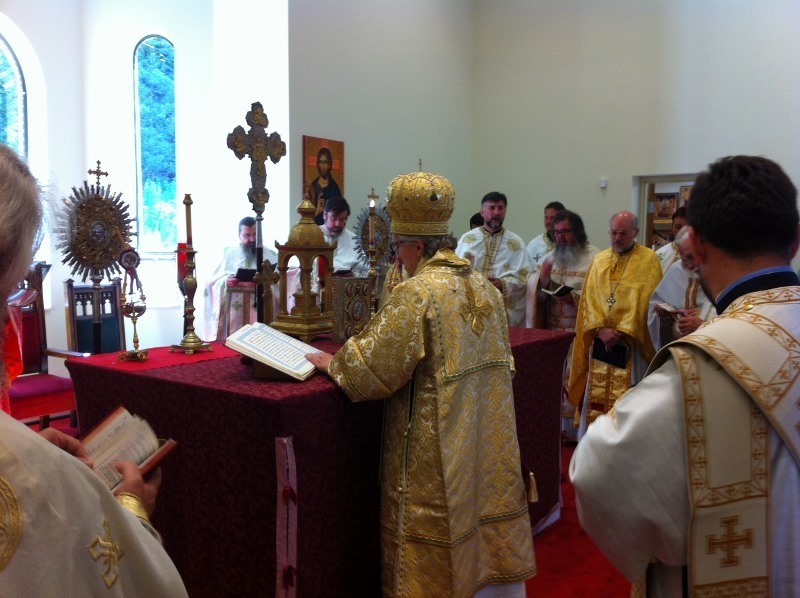 The day began with the Holy Hierarchical Divine Liturgy with over twenty diocesan clergy and three deacons assisting His Grace, the bishop, at the holy altar. 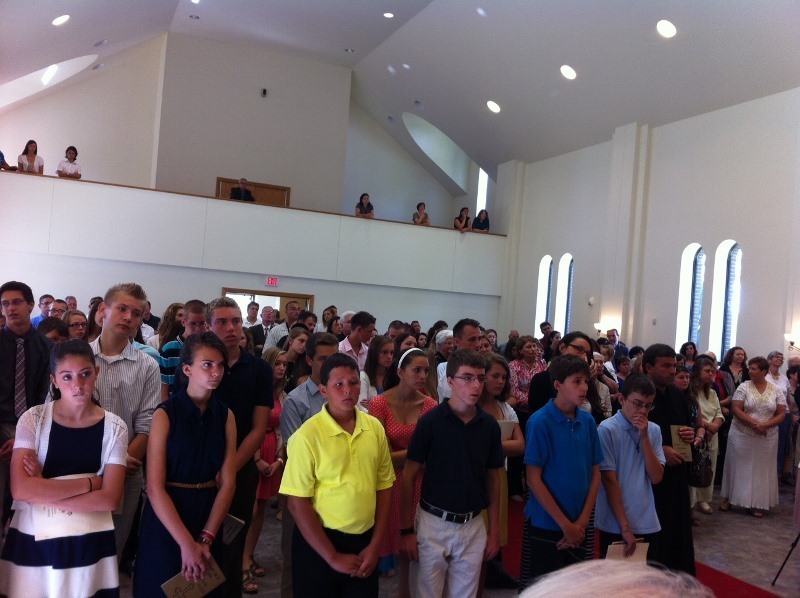 Churches from the Cleveland and Pittsburgh area were closed and all parishioners were invited to attend the diocesan celebration in Shadeland, which also served as the closing of this year's children's camp season. Once again this year the camp season was a success. 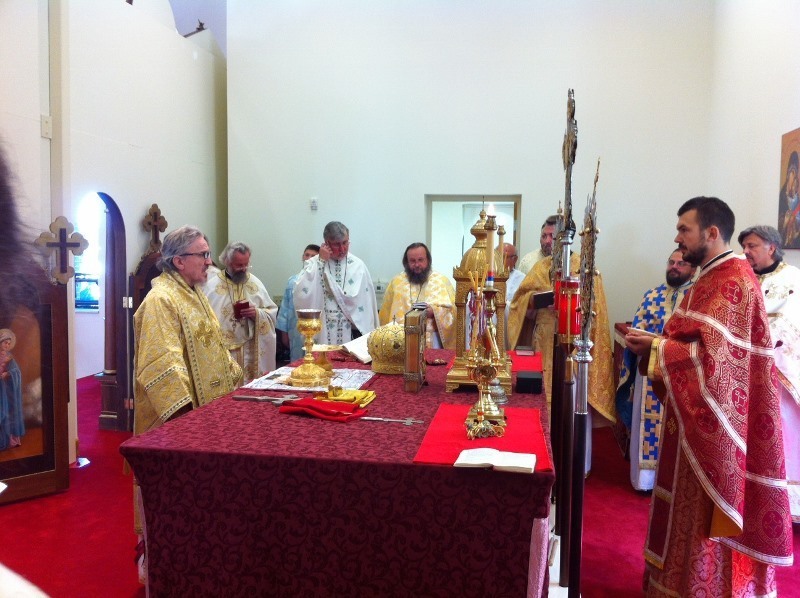 There were clergy and parishioners from as far as Washington D.C. and North Carolina. 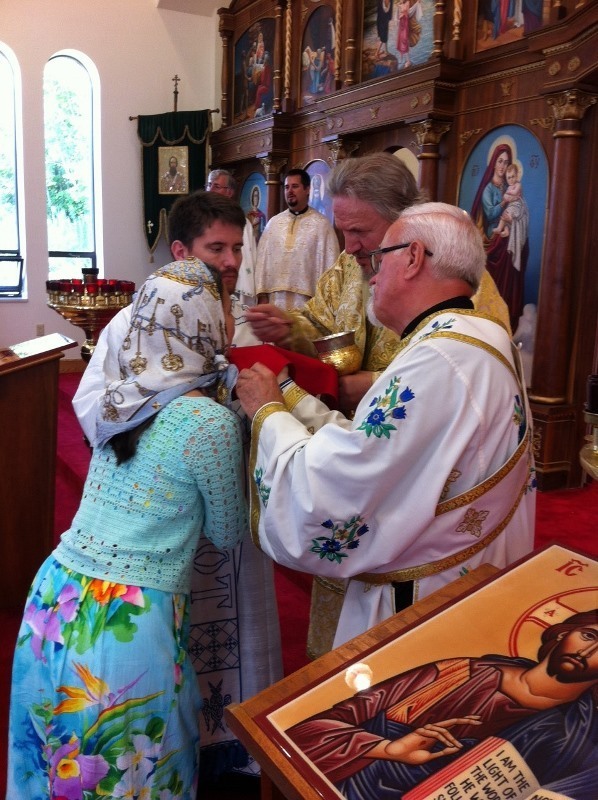 This year's diocesan day celebration was particularly special for members of the Holy Trinity Serbian Orthodox Church in Youngstown, Ohio as Deacon Mladen Gardovic was ordained during the liturgy to the priesthood and appointed to the Youngstown parish. 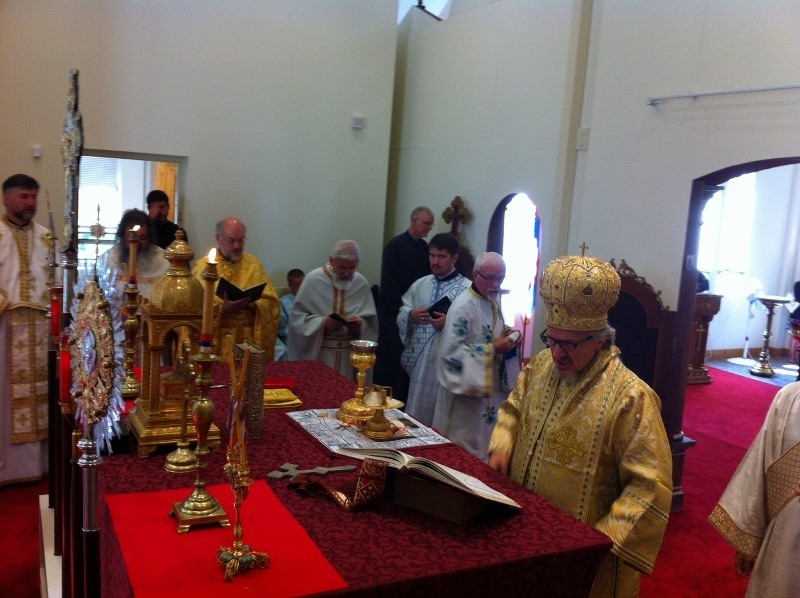 His Grace, as always, directed his homily to the children and spoke to them of the need of safeguarding the treasure of their Orthodox faith and Serbian heritage. Fr. 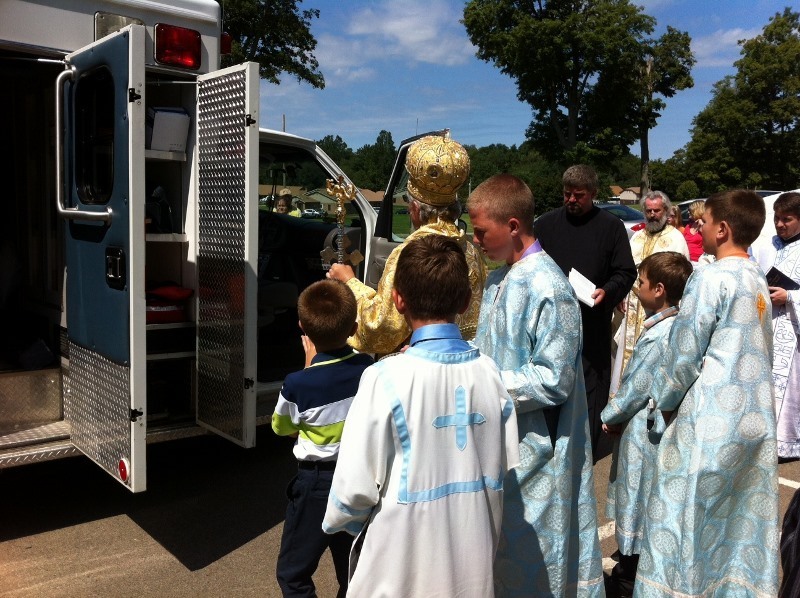 Rodney Torbic contacted the local fire department and invited them to join us for our diocesan festivities. 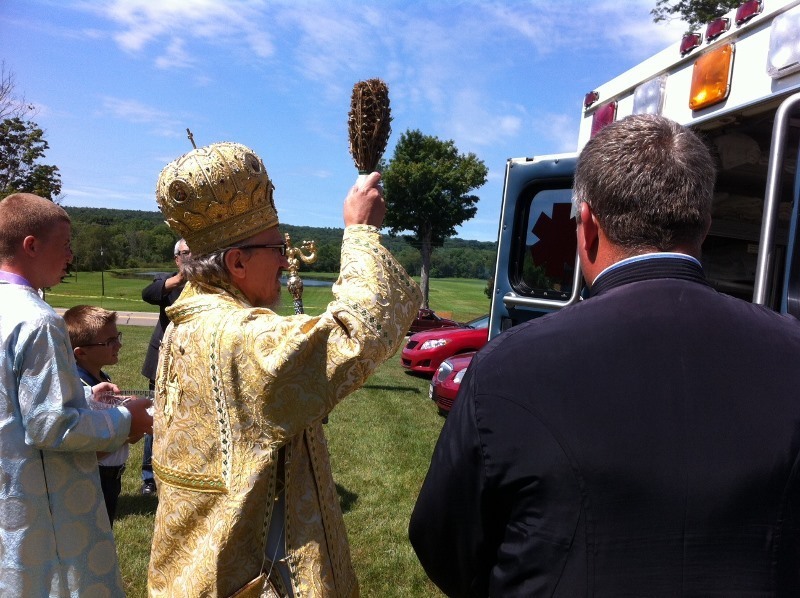 Immediately following the Divine Lituryg Bishop Mitrophan blessed the new ambulance and fire truck which they greatly appreciated! 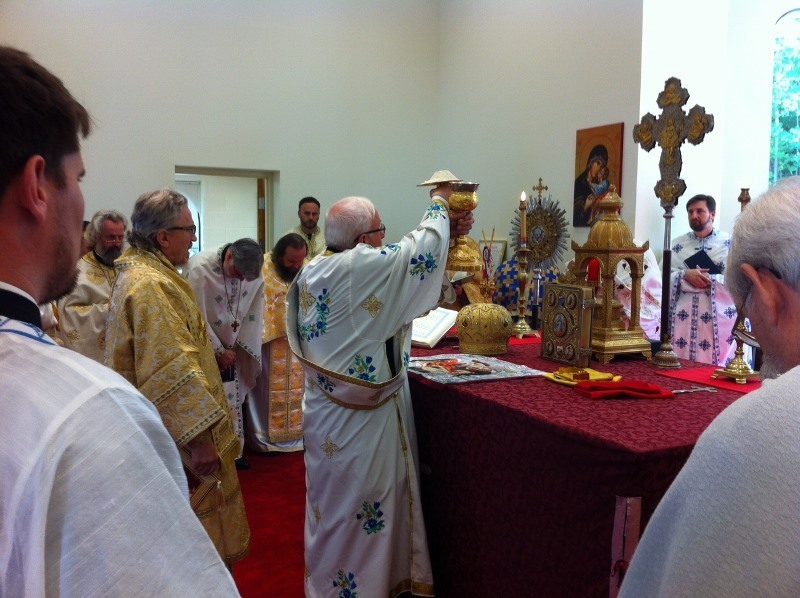 The day continued with a beautiful and uplifting children's program in the pavilion. 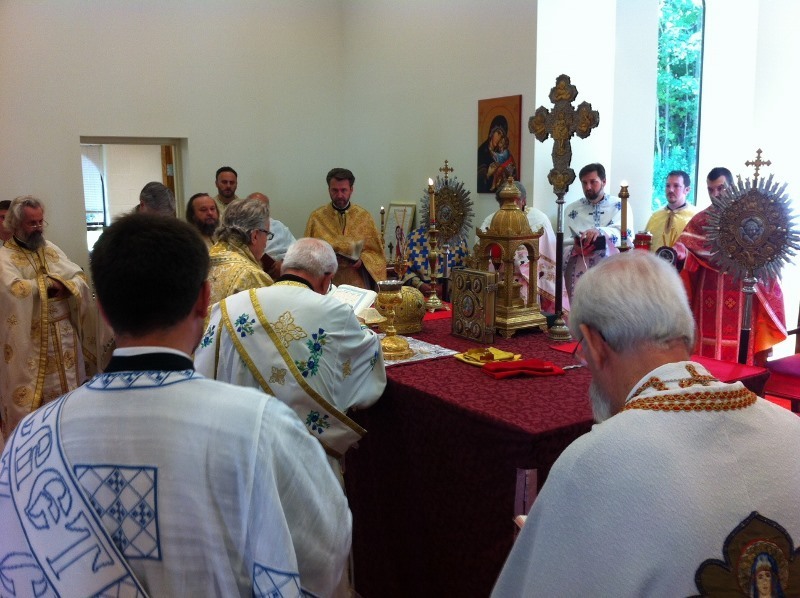 The annual Diocesan Day picnic continued throughout the day.